Regal home situated on the best lot of the cul de sac! The backyard is an oasis that has been designed for outdoor entertaining Lots of hardscape and landscaping create the sense of living in a very private space rather than the middle of a subdivision. Hard to find location next to the incredible Parklands. This home is special! It was once the model home for the neighborhood and these owners have taken it a notch above the already upgraded space that the builder created. You won't find another home in the subdivision with the same quality finishes and upgrades that this home offers. The split ranch design allows for maximum privacy. The spacious master is situated to the left of the home and the other bedrooms on the first floor are situated to the right. It's the perfect layoutfor privacy! Versatile floor plan allows for two home offices and 3 bedrooms or if you need 5 full bedrooms there's more than enough space for everyone to spread out! These owners have spared no expense when they finished the walk out lower level and added mill work throughout the house. From the beautifully painted kitchen cabinets with granite counters and a gas cook top to the pendant lighting everything has been upgraded. This home radiates quality and charm in every space. Hard to find lower level finished with meticulous attention to detail and ready for future upgrades as needs change. The lower level is plumbed for a wet bar and has lighting caps for pendants over a bar, a cap for a possible game table and a cap for a possible pool table. Full windows and doors give the feel of another full home in the lower level. The finishes are as good and often better than the first floor. There is a full bath separating the two bedrooms in the lower level and a closet that is amazing. Storage is no issue in this home. The garage and lower level have added shelving to make storage easy and accessible. 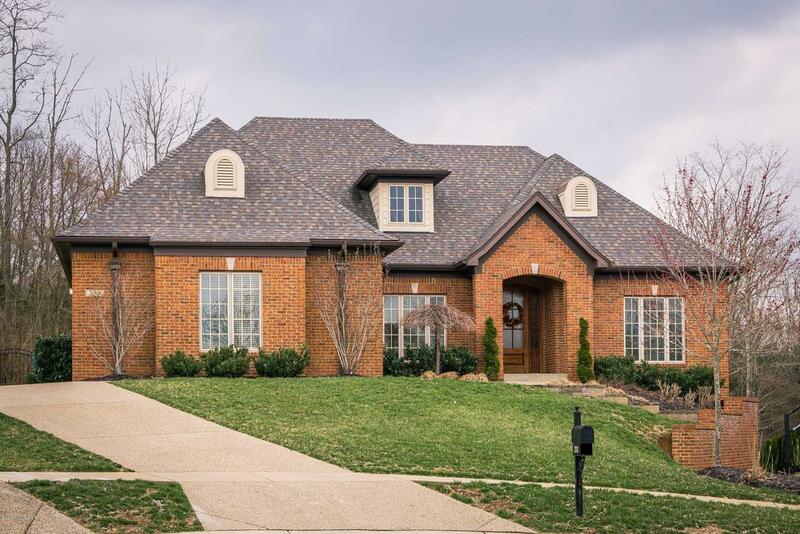 This home lives large and has something for everyone. There are even Bose surround sound speakers on the first floor and lower level, you can enjoy the ambiance of music throughout the home. The driveway is very user friendly and the backyard is perfect for yard games, hanging out and enjoying birds, deer and a wide variety of flora and fauna. It really is paradise. List of updates and upgrades attached in documents. Walk or bike to the Parklands from this beautiful home. You will be so happy when you decide to make this quiet neighborhood with a neighborhood fishing hole your new home. Bedroom Remarks Great Space For A Guest!